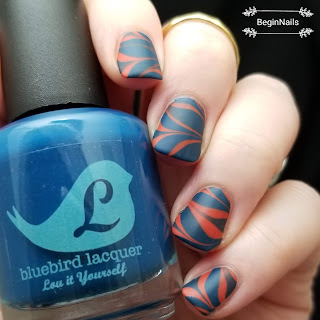 It's Digit-al Dozen week day number 2 for water marble week! This one is from the vault, it's been in my phone for awhile, but I never formally posted it or did a blog post on it. I water marbled with 2 of the Rainbroversity Collection from Bluebird Lacquer. I then topped it with a matte finish. Using complimentary shades is an interesting approach, and your marble is flawless! Your nails look like an artist painted them on you. Such a pretty look. Love this marbling design! Super chic color combination. Hooray, I'm glad this one finally got posted! I really like the colour combo. 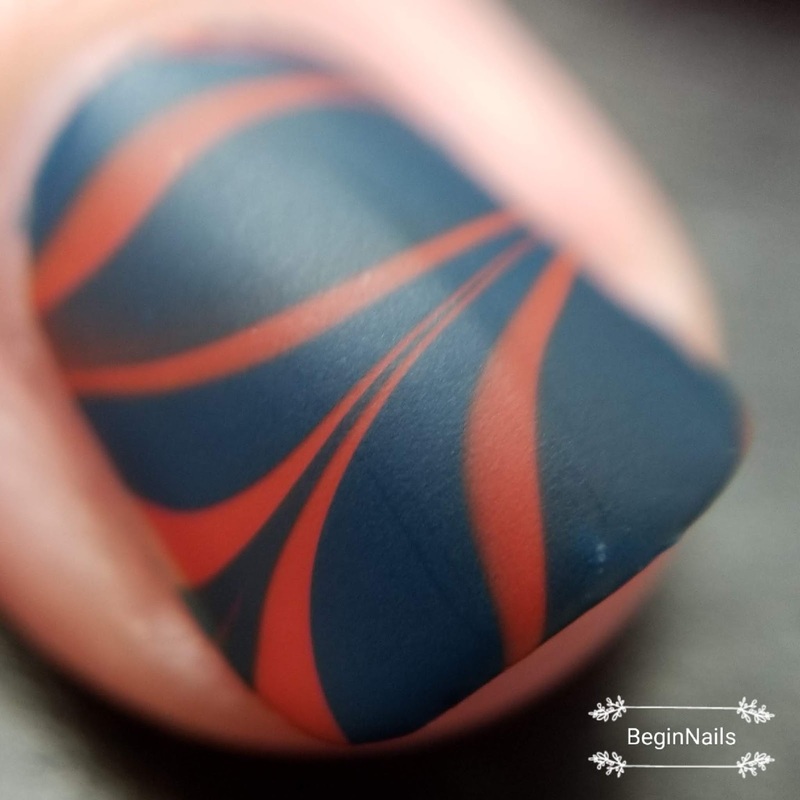 This marble mani is so satifyingly crisp! Love it! Well these came out great! 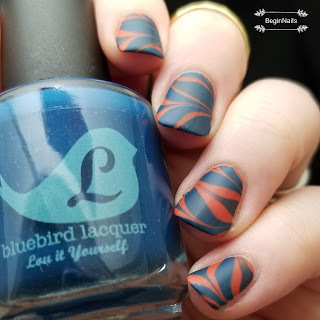 Love the colors as they are my college colors! I do love these colors together! 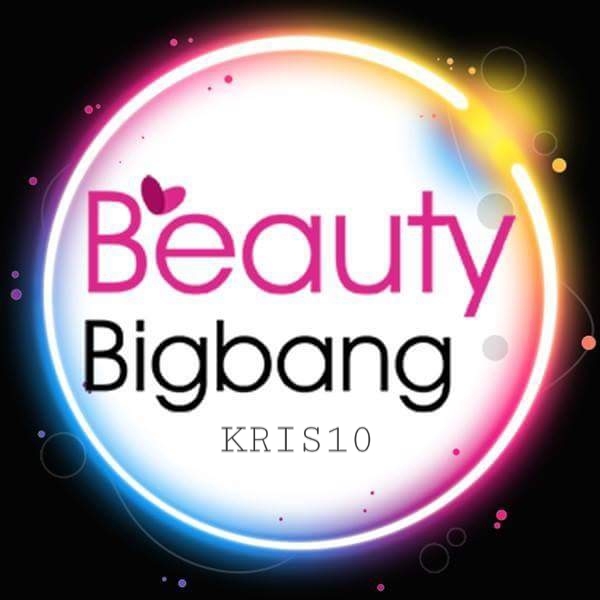 This is stunning and I love the matte finish!! !